When renting a property to a company, under law, the difference between a Company Let and an AST, is that all Company Lets are Governed by the Law of Property Act instead of the Housing Acts, this means that the tenant is not recognised as a consumer and will not given the same protection as one who is. AlWAYS request for a third party Guarantor, as a guarantee from one of the Company's Directors could turn out to be worthless if the company falls into insolvency. 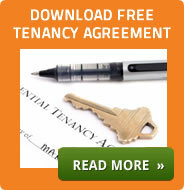 Should the tenant refuse to leave you would have to Issue a Section 146 Law of Property Act 1925 Notice "LPA25 Notice". You are advised to use a Solicitor to write this notice, as potentially each contract will differ in the way that it is drawn up. As the Housing Acts are not applicable to a Company Let, then you are unable to use a Section 8 or Section 21 notice, in doing so could create confusion and it may be argued that you let directly to the tenant and not to the Company. The obligation to perform [pay] is the Company's and you should avoid receiving payment direct from the occupant. Health and Safety regulations do apply, such as HHSRS and HMO Licencing.